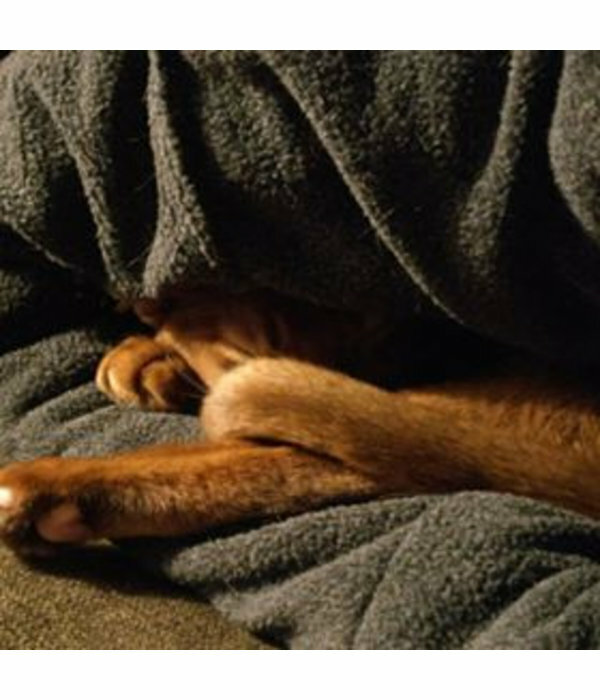 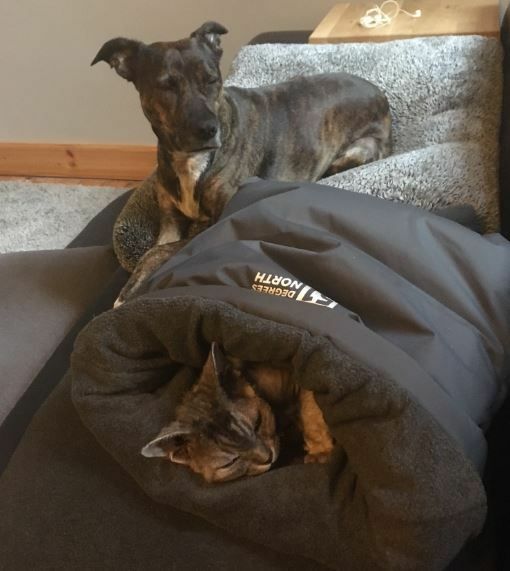 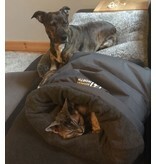 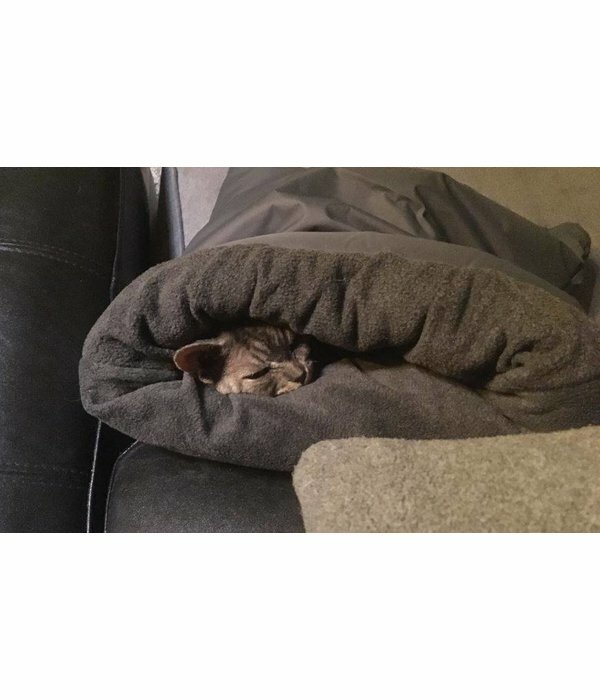 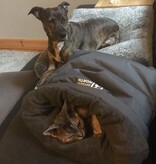 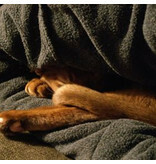 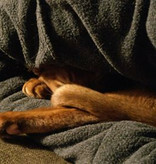 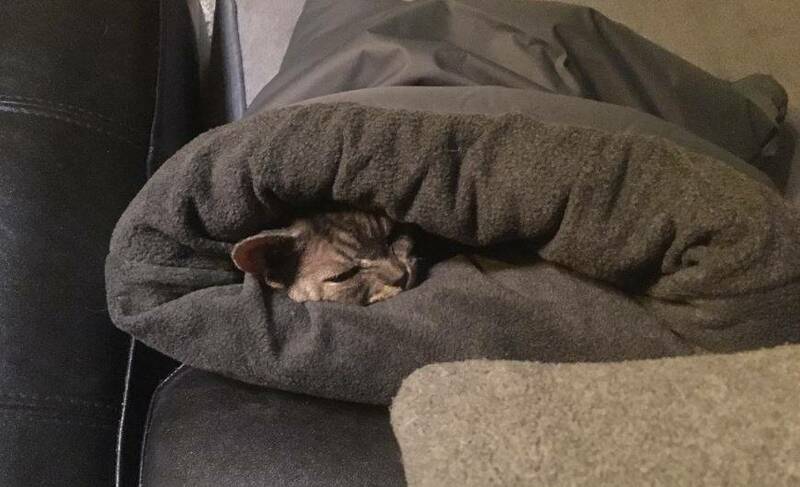 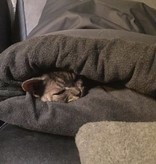 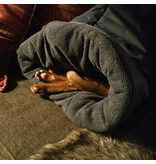 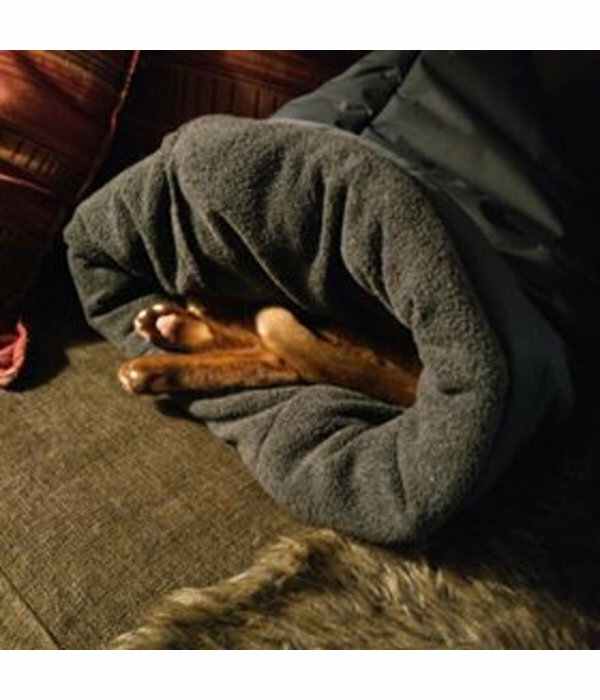 Handy and cozy sleeping bag for cats and small dogs who like to hide in a cozy 'cave'. 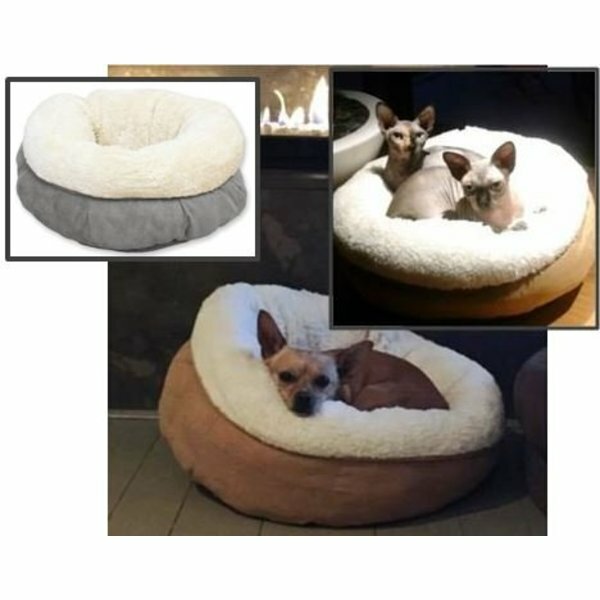 Easy to take with you on holiday or to the restaurant. 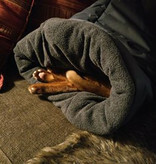 Cozy fleece on the inside to sleep in and strong all season fabric on the outside.